Oakley Property and Mansell Mctaggart are thrilled to be working jointly on an exciting new development in Burgess Hill. Elizabeth Court is a unique development comprising of 12 two bedroom luxury apartments and two contemporary town houses. Phase one will see 6 of the apartments brought to the market on April 14th with a stunning ground floor show home. All of the apartments offer open living space, 2 double bedrooms, large bathrooms and an en-suite shower room. The apartments in phase one also benefits from communal gardens and allocated parking. 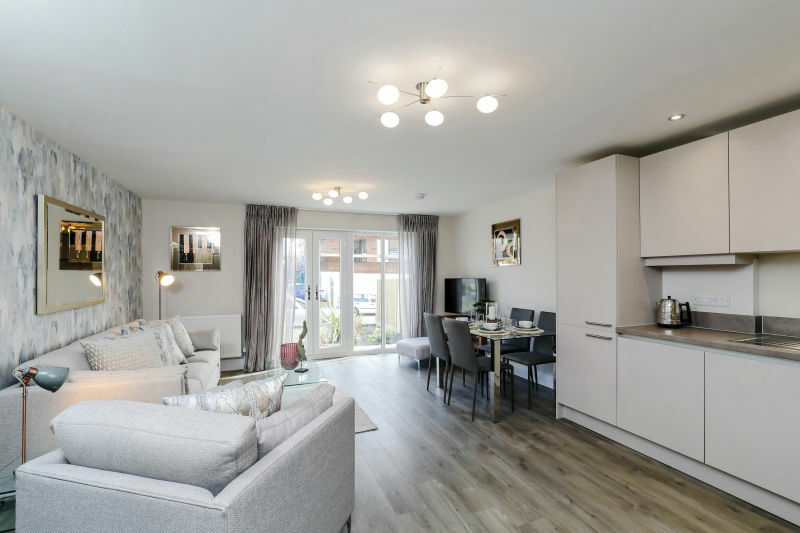 David Beaken, a Director at Oakley New Homes, commented “It’s great to be working on a scheme in Burgess Hill as it has been some time since we have had apartments to offer in the area. The standard of finish is superb and this is clear to see as soon as you approach the building. The front gardens have been beautifully landscaped with excellent attention to detail which really sets the tone for the apartments". Burgess Hill is a fast growing town, ideal for commuters, families and older residents positioned at the edge of the South Downs National Park. This makes it the perfect place for anyone who wants to combine the convenience of town living with outdoor pursuits, from cycling and horse riding, to dog walking around the fabulous countryside. Two mainline stations – Burgess Hill and Wivelsfield – offer frequent and fast services to London, the stunning south coast, and the bohemian market town of Lewes. Elizabeth Court is great for commuters as the majority of the town and the station is within walking distance. Chris Bates from Mansell McTaggart commented ‘’ We’re all very excited about the launch of this brand new exclusive quality development from ‘Whiteoak’. It’s refreshing to see a high specification throughout the apartments which we strongly feel will suit a cross-section of buyers. Acclaimed luxury house builder, Whiteoak Developments have a reputation for being at the heart of quality. They incorporate style, comfort, innovation and value for money in Surrey and the South East. Kitchens with a range of Integrated Siemens appliances including hob and oven, fridge freezer, extractor hood and dishwasher. The beautifully designed, modern bathrooms and en-suites offer excellent quality throughout, including overhead showers and polished chrome heated towel rails. All the apartments have gas fired central heating. For security and peace of mind there are mains fed smoke detectors, video phone entry system and each home will be sold with a 10 year BLP Structural Warranty. Prices for the homes start from £275,000. The teams from Oakley & Mansell McTaggart invite you to come and view the new show on Saturday, April 14th between 10.00am – 4.00pm. Please call for an appointment to view at a specific time or to discuss in more detail please contact Oakley 01273 487444 email david@oakleyproperty.com For further detail or to download a brochure visit the property listing here.